Port Canaveral you can sail off into the sunset on a 3, 4 or 7 day voyage to the Bahamas, the eastern Caribbean or Mexico's Gulf resorts. 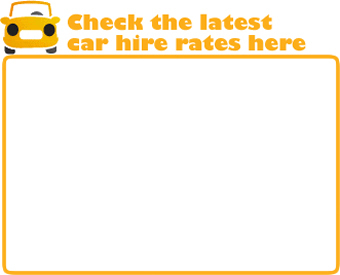 If you are looking for the nearest car hire location to the port please our list of current Cape Canaveral Car Hire locations. We work with major car rental partners like Budget and Dollar to ensure you can search for the latest fully inclusive rates on the videst choice of vehicle. The Navy first asked Congress to approve construction of a deepwater port at Canaveral in 1878. However, it took half a century until approval was granted in 1929, and another two decades before the port's potential economic value was recognized fully. 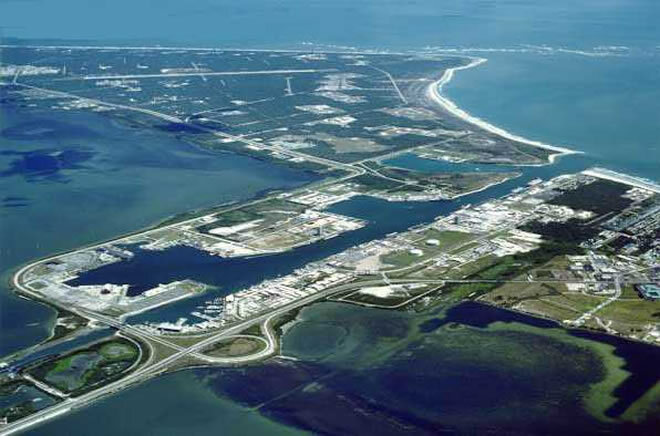 Port Canaveral, the major deepwater point of entry for Central Florida, ultimately was constructed for military and commercial purposes. It was dedicated on November 4, 1953. The first industry here was commercial fishing. Cargo vessels started arriving within a few years, laden with oil and newsprint, and tanker vessels began carrying central Florida's orange juice from here to New York in 1958. By 1966, the cargo tonnage moving through the Port had reached one million tons per year.